MASS Gmail Account Creator is a light weight and very easy to use application that will help you to create multiple Gmail accounts with ease. 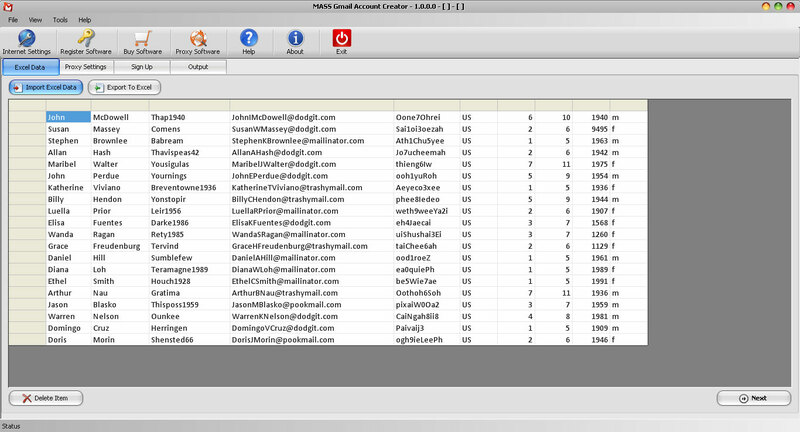 With this application you can create Gmail accounts without data typing and without any copy paste method. 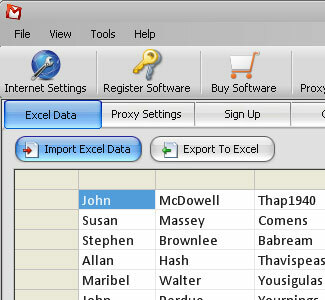 Simply add excel file that give in application folder this standard file that read our application, once you add data in this file in correct format then you can use this file in this application. Data is automatically added in “Sign up” page of Gmail, you simply type captcha code in it. This application supports to set proxy servers with single and multi proxy options. Using this options you can set auto change proxy server timer and auto save output option to save your valuable time and also your work. And it comes with standard Input and outputs excel files that help you to get started. Note: Please download and test our trial version of this software first, and if you satisfied with that so you can buy it. We could not issue any type of refund after buying any product. Thanks.